On campus and in the City of Chicago, you can recycle a huge array of items—from cardboard to computers. 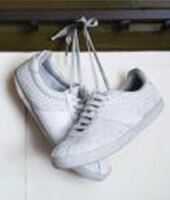 This directory can help you learn where to recycle everything from packing peanuts to shoes. To streamline your search, we’ve listed where things can be recycled on campus (if possible) and in Chicago. Also, be sure to check the City of Chicago’s recycling directory or the Recycling Manual for the 47th Ward for additional resources. 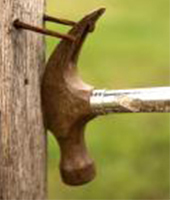 If you’re dealing with construction debris, please go here. Pass on this directory to you friends and email us if you have any additions/edits. 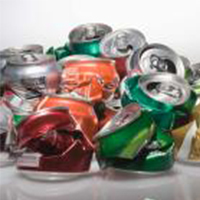 Where can I recycle aluminum on campus? Clean aluminum foil and food containers may be placed in any recycling bin around campus or in the dorms. Also, Residential Properties recycles aluminum. 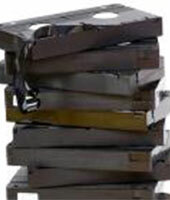 Where can I recycle aluminum in Chicago? Where can I recycle appliances on campus? Applicances are accepted at the University’s e-waste drop-off loations. 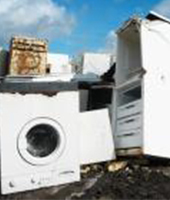 Where can I recycle appliances in Chicago? Also at the University's e-waste drop-off locations. 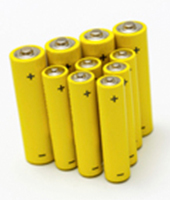 Where can I recycle batteries in Chicago? 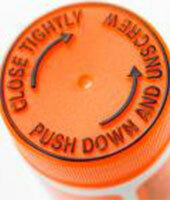 Where can I recycle caps on campus? You can place bottle caps in any recycling container on campus. Where can I recycle caps in Chicago? Where can I recycle supplies on campus? There are no building supplies recycling options currently available on campus. Where can I recycle supplies in Chicago? Where can I recycle cardboard on campus? You can place cardboard in any recycling container on campus. 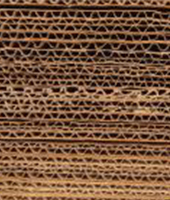 Where can I recycle cardboard in Chicago? Where can I recycle carpet on campus? There are currently no locations on campus for recycling carpet. Where can I recycle carpet in Chicago? 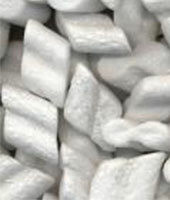 Shaw Floors recycles any carpet made with nylon 6 fiber. Where can I recycle cars on campus? There are no locations on campus for recycling cars. Where can I recycle cars in Chicago? Where can I recycle CDs on campus? 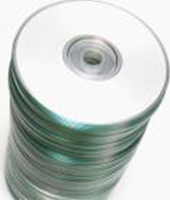 CD's are accepted at the University’s e-waste drop-off loations. Where can I recycle CDs in Chicago? Where can I recycle phones on campus? 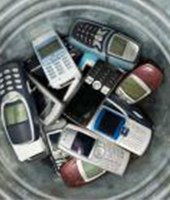 IT Services recycles cell phones, please click here for more info. Cell phones are accepted at the University’s e-waste drop-off loations. Where can I recycle phones in Chicago? 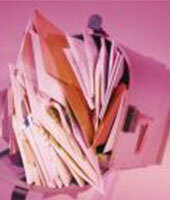 AT&T, Best Buy, Office Depot, Sprint, Staples, T-Mobile, and Verizon Wireless all offer drop-off recycling programs. Please browse their respective websites for more information. 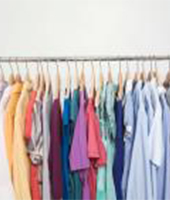 Where can I recycle clothing on campus? Where can I recycle clothing in Chicago? Where can I recycle electronics on campus? 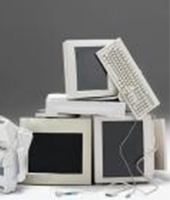 IT Services recycles electronic waste, please click here for more info. Cell phones are accepted at the University’s e-waste drop-off locations. Where can I recycle electronics in Chicago? Where can I recycle cork on campus? 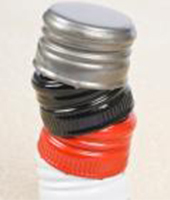 There are currently no cork recycling options available on campus. Where can I recycle cork in Chicago? Whole Foods stores offer cork drop boxes. Where can I recycle cosmetics on campus? There are no options for recycling cosmetics on campus at this time. 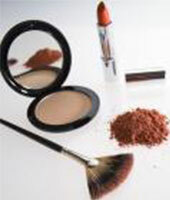 Where can I recycle cosmetics in Chicago? Origins accepts empty cosmetic tubes, bottles, and jars from any manufacture at virtually any Origins location nationwide. Where can I recycle eyeglasses on campus? There are no options for recycling eyeglasses on campus at this time. 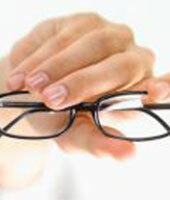 Where can I recycle eyeglasses in Chicago? Where can I recycle furniture on campus? You can list your furniture on UChicago’s Marketplace. 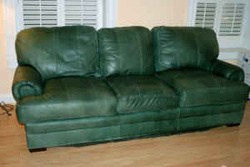 Where can I recycle furniture in Chicago? Please check with your local Goodwill or Salvation Army about recycling furniture. Most recycle a wide variety of furniture. Brown elephant is another option. 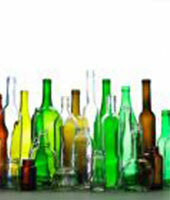 Where can I recycle glass on campus? You can place glass in any recycling container on campus. Where can I recycle glass in Chicago? Where can I recycle trees on campus? 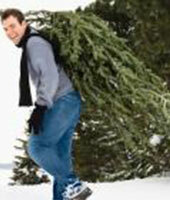 There are no resources currently available on campus to dispose of holiday trees. Where can I recycle trees in Chicago? Where can I recycle waste on campus? 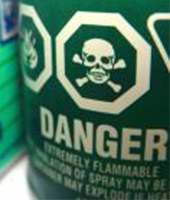 There are no resources currently available on campus to dispose of household hazardous waste. Where can I recycle waste in Chicago? Where can I recycle cartridges on campus? Toners are accepted at the University’s e-waste drop-off locations. 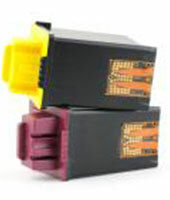 Where can I recycle cartridges in Chicago? Where can I recycle mail on campus? You can place junk mail (paper/magazines) in any recycling container on campus. Where can I recycle mail in Chicago? Where can I recycle bulbs on campus? 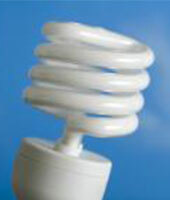 You can contact Facilities Services if you have fluorescent tubes to recycle. For other kinds of light bulbs, please refer to the sources below. Where can I recycle bulbs in Chicago? Where can I recycle mattresses on campus? 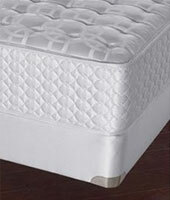 Where can I recycle mattresses in Chicago? Where can I recycle officesupplies on campus? 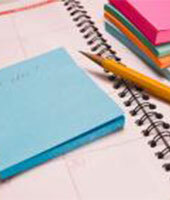 You can list your office supplies on UChicago’s Marketplace. Where can I recycle officesupplies in Chicago? Please check with your local Goodwill or Salvation Army about reusing office supplies. Where can I recycle paint on campus? There are no resources currently available on campus to dispose of paint. Where can I recycle paint in Chicago? 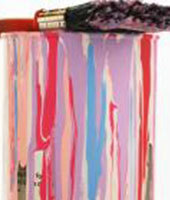 Latex paint is very costly to recycle, but the empty can is recyclable. The City of Chicago offers advice about leftover paint disposal. Where can I recycle paper on campus? 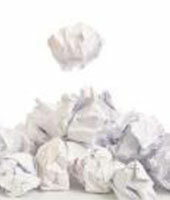 You can place paper in any recycling container on campus. Where can I recycle paper in Chicago? Where can I recycle pharmaceuticals on campus? There are no resources currently available on campus to dispose of pharmaceuticals. Where can I recycle pharmaceuticals in Chicago? Where can I recycle bags on campus? You can bring plastic bags to the drop-off boxes in Walgreens on 55 & Lake Park. You can bring plastic bags to the drop-off boxes in Hyde Park Produce on 53rd & Woodlawn. Where can I recycle bags in Chicago? These stores also accept plastic bags: Jewel-Osco, CVS, Whole Foods, & Target. Please check with the location first. 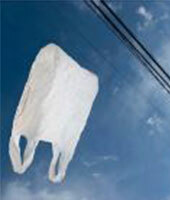 You can search for plastic bag drop-off locations by zip code here. Where can I recycle shoes on campus? Encore will accept gently used clothing and what they can’t sell they donate to the Salvation Army. Where can I recycle shoes in Chicago? Where can I recycle styrofoam on campus? Packing peanuts can be recycled at the UPS store at 53rd and Harper. Most other UPS stores accept styrofoam. Also check with your local pack and ship store. Where can I recycle tapes on campus? VHS tapes can be recycled at any of the e-waste drop-off locations around campus. Where can I recycle tapes in Chicago? Where can I recycle filters on campus? There are not currently any water filter recycling options on campus. Where can I recycle filters in Chicago? For TerraFlo filters, you can mail your filters directly to the company for recycling or find a nearby drop off location. 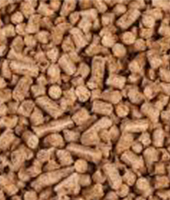 If your filter is not manufactured by TerraFlo, you can empty the charcoal sand into your garden or into the garbage and then place the #5 plastic container in any recycling bin. 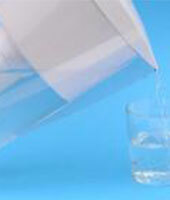 All filters are different, so check with the recycler to find out which brands of water filters are accepted.